This month, we’re shining our spotlight on one of the most exciting products in our store, the HALCO ProLED RGB color changing flood lamp. This LED light bulb features a fantastic array of lighting effects and color combinations that are sure to delight anyone who sees it in action. A light bulb like this is great for a variety of purposes, including holiday and decorative lighting, allowing you to put on a great show with your LED flood lights. What makes this flood light bulb even more fantastic is its accompanying remote, which allows you to turn the light on and off or change the color easily. With the remote, you can choose from 15 different color combinations of the bulb’s red, green and blue color scheme, in addition to the bulb’s traditional warm and neutral white color options. Even more impressive, the remote gives you four different lighting options: flash, strobe, fade and smooth color changing. 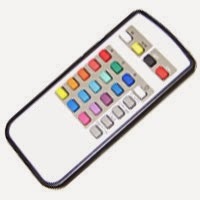 To top it all off, you can even control the brightness level using this convenient remote. This 4-watt bulb has a great lifespan for a flood light, too. It’s rated to last for 40,000 hours, meaning you’ll get a lot of use out of this great bulb for a low price. The lamp and the remote are sold separately and qualify for free shipping as part of an order of $75 or more. Where would you put this fantastic lamp? Let us know in the comments below! Finally convert to home LED lighting. This is one of the most important things you can do to make your home better and lower your energy bills in 2014. If you’re still using incandescent bulbs, make 2014 the year you switch over to more energy efficient light bulbs. Your home — and your wallet — will thank you for it. Cut down the clutter. Especially after the holidays, homes get cluttered. 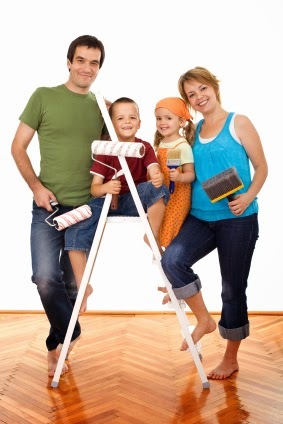 Take a weekend and go through the clutter in your home. When you find things you don’t want or need, donate them or throw them out. For everything else, find a home for it. Get your home ready for entertaining. This is the year you could have more friends and family over to your home. Having a home you’re proud of can be just what you need to invite people over more often. Spruce up your place with some nice accent pillows, plants and LED accent lighting to really give off a good vibe. Make the outdoors safer. Update your outdoor lighting for enhanced safety and longevity. Security lights and flood lights are important for increasing your home’s value and for making your home more liveable from day to day. While you’re at it, clean up around your walkways to ensure there’s nothing to trip over. Budget for improvements. If you’re like most homeowners, you probably always have a list of things you’d like to do to make your home better. Make a plan to save money each month for home improvement projects. Having the money available when you decide on a project will make accomplishing it that much easier. What are your resolutions this year? Let us know in the comments!